Have you heard? Gramatik is back and coming live to the Red Rocks Amphitheater on Saturday 1st September 2018! As one of the favorite artists to catch at Red Rocks, you'd be crazy to miss it… As Gramatik brings all of the funk, dance and energy to each and every one of his shows! What are you waiting for, grab the chance to be there! Secure your Gramatik tickets today but clicking the button above. "His motto is simple. He’s “putting the ‘M’ back in EDM.” When you catch a live show, you get to see first-hand exactly what he means by that bold statement. Recently he’s been touring with a guitarist and a 2-piece horn section finishing up a three-month long tour that found him roving the world over, selling out venues." As an early starter, making music from the age of just 13, Jašarević aka Gramatik began getting to grips with how to create hip hop music on his PC. With a few of his songs uploaded to the online Beatport, he grabbed the attention from fans around the world, in the United States and in Europe. 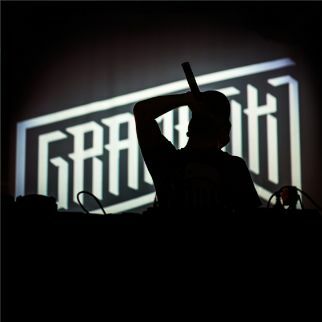 Gramatik grew up in Slovenia but later moved to New York City where he now bases himself, it was here that he released his first album which gained a great response that he never thought was about to happen – "I didn't even expect the album to sell one track on Beatport, nothing else was sold on beatport except techno and house. When I dropped my album and it started selling, I was really surprised, since I'd never seen a hip-hop album sell on Beatport. So when it sold, I was like 'Wow!' These were hip-hop beats, but it was labeled 'Chill Out' on Beatport. People saw it and thought it was awesome good chill out music, which is fine for me. I didn't expect it at all, and I didn't expect someone to reach out to me as a booking agent." The rest is history, Gramatik now performs to massive crowds globally at top venues and major festivals – book your tickets for his Red Rocks show and expect to be blown away! !